This is a story of my journey not only to Edinburgh, but to the Malden! 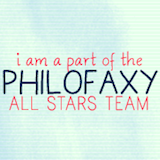 Saturday was the Philofaxy Edinburgh meetup, which I was very excited to attend! Almost exactly two years ago, I was booked to go to the London Philofaxy meetup but the morning of I had to cancel because everyone in my family was ill and I just couldn't go. So I was especially glad to be able to go to this one! I took the train down from Aberdeen, and settled myself in for a quiet, scenic 2 hour 40 minute ride. At the next stop, a bunch of guys in kilts piled on. I thought to myself, cool. Dudes in kilts. I love Scotland. Then they started cracking open beers. At 8:30 in the morning. I looked above their seats to see their reservations and noticed they too were going to Edinburgh. I thought, this is going to be a long ride if these guys get drunk and disorderly. Then at the next stop, a bunch more guys got on. There were more men in kilts, little boys with their dads, and soon it was standing room only in the car. Everyone was in a great mood, swilling beer and handing out bacon rolls to all their friends. I thought, what the heck is going on in Edinburgh today? I looked through the newspaper and discovered, ah ha. Scotland vs. South Africa rugby! No wonder. Well it was one big party the whole way there! Kilts, beers, excited people chatting, and I have to admit when they busted out the bottle of Scotch I eyed it longingly. But I managed not to beg a dram and made it to Edinburgh sober. Natalie had booked us into the Fruitmarket Gallery cafe, and it was the perfect place to linger over lunch and Filofaxes! It was wonderful to see Steve again! I first met him in person in London 2 1/2 years ago, and of course have kept up via email, Skype and the blog so it was great to catch up in person with a great friend. I enjoyed meeting everyone else for the first time in person after "seeing" them around online. We had the usual chat about Filofaxes and planners. Below is the Tower of Power! 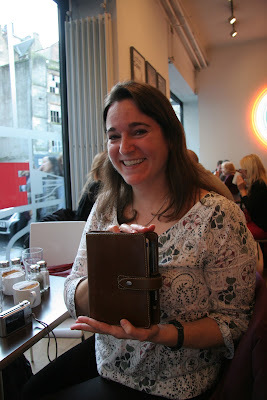 There were several A5 zipped Holborns, an A5 Kendal, Steve's A5 and personal Maldens, the A5 Boston I brought (review coming next week on Philofaxy), several vintage binders, Steve's Mini, Margaret's Classic and Morag's stuffed pocket Chameleon she uses as a wallet. We had a great time looking through each other's Filofaxes. Gavin very kindly let me look through his A5 Holborn zip and let me interrogate him about how he uses his diary pages in it. I had gone to the meetup planning to buy a compact Pennybridge in purple. I decided I wanted to try combining my wallet with rings to hold my contacts, shopping lists, notes and whatever else. I thought the Pennybridge would be perfect for this. The purple PU material looked very soft online and the price was affordable. I've had my eye on the ochre Malden since I first saw one in the Filofax shop in London 2 1/2 years ago. I like the rustic look. I really like that scratches on the cover usually buff out, and just add character. We went to The Pen Shop at Jenners (who I had forewarned that a gaggle of Filofax geeks was heading their way that afternoon) and they were very nice and let us paw through their entire stock of Filofax binders. I found a Pennybridge compact in red, but not in purple. At first I was disappointed, but then was actually glad they didn't have a purple one, because I would have bought it without thinking about it. As it turned out, the cover wasn't as smooth as it looked online. Steve showed me the layout, which is nearly identical to his compact Malden (which wasn't with him that day) and pointed out the pros and cons of the zip compact. I realized the zip probably would not accommodate everything I wanted to put on the rings with all my cards in the pockets. So, no Pennybridge for me. But I wanted to see an ochre Malden, so I looked through their display. They had a Vintage Pink Malden on sale, but no Ochre. Behind the display models were boxes of additional stock. I saw a Malden box, but no it was another Vintage Pink. I kept digging around and lo and behold I found a Personal Ochre Malden! I couldn't help feeling it was meant just for me! I carried it around with me while making my decision. It was more money than I had intended to spend that day, but The Pen Shop gave our group a discount on purchases so it ended up being a great price for a Malden. I examined the rings carefully and found to my relief there were no problems with gapping or misalignment. It was the binder I've been longing for these two and a half years! After an agonizing decision-making process, I decided I would hate myself if I passed by the opportunity to own this binder! You can see lots of photos of it in my post here. 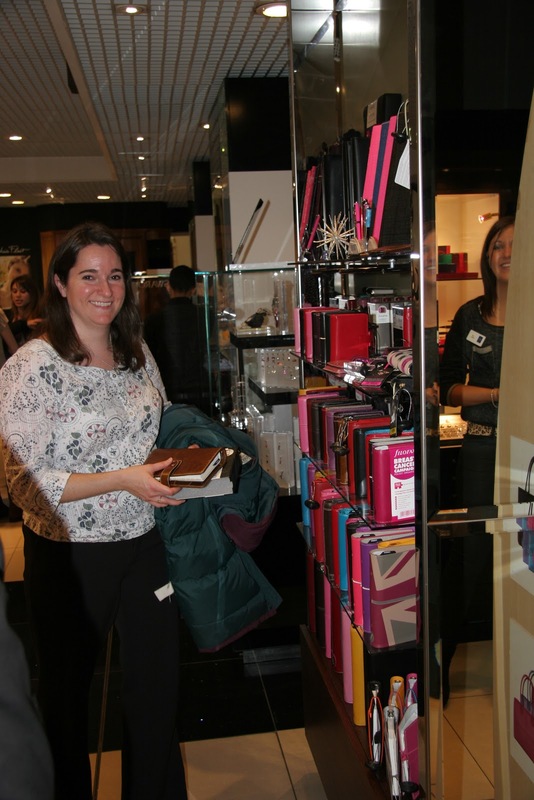 Here's Steve with a Mont Blanc organizer we couldn't help wanting to check out. It was really classy looking, very good quality with a huge pen loop to hold a full size Mont Blanc pen. The pen loop itself was very long to protect the finish on your pen. Steve really wants that Mont Blanc! Michael was entertained by our goading. After The Pen Shop we made our way through Christmas-shopping crowds and drizzles of snow to Paperchase and had fun looking at their selection. Before long it was time to head back to the trains and so we made our goodbyes. We are hoping to do another Scotland meetup in late spring or early summer if anyone is interested! I had a quiet, no-kilts train ride back, and brought my Malden to his new home! Many thanks to everyone who journeyed to Edinburgh that day, especially to Steve who had a long and difficult journey to get there! It was great seeing you all and I had a wonderful day! Looks like so much fun! I told my hubs after reading this I want to go to London, he looked at me funny (Im in the states, so LONG trip) I said without blinking my eyes.. to go to the Filofax shop!!! Glad you got to get your Malden! Usually the long wait of things are best ! What a great day you had in Edinburgh you must have had a wonderful time. I really hope you manage to train your Malden to lay flat they are wonderful binder. I have a Malden in Vintage Crimson which I bought from Anita and it lays flat. We have a Meet Up in Manchester on the 1st December we had such a good time back in September and now we're looking forward to our second meeting. Sounds like you all had a great time! I'm looking forward to our next meet up in New York City, whenever that may be. Great post!